Remotely manage and uninstall software, instantly identify and end remote tasks, fetch computer details, and more. Gain valuable insights on your online visitors, your website's performance and much more. Manage tasks, retrieve details of software installed, perform GPO updates and more. Free Tools for Active Directory, Windows Servers, Desktops & Mobile Device Management and SQL database Monitoring, SharePoint & Exchange Server Monitoring. 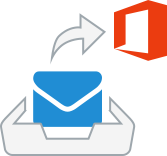 Export Exchange Server and Office 365 mailbox content in PST format, and import it directly into Office 365. Monitor the MS Exchange server health & memory, view mailbox/RPC, client access server details and more. Monitor the system resources like CPU, memory utilization etc., for up to 20 Windows client & server OS devices. Monitor the MSSQL server resources like CPU, memory & disk details, buffer cache hit ratio and more. The ManageEngine Free Disk Monitor Lite helps the administrators closely monitor the usage and availability of disk space of any number of servers. Install, start and stop the SNMP service remotely on multiple Windows devices. Export activity logs and SNMP service status as PDF reports. Monitor the AD Domain Controller parameters, query your AD to get all required data and more. Monitor the details of host server, SharePoint services, Internet Information Services (IIS) and more. Custom Powershell scripts to get more done with the ManageEngine products. iPhone native app to configure/monitor Windows services, monitor availability and reboot servers on the go. Remote monitoring of Windows services right from your Android phone, change the status of Windows services and much more. Agentless monitoring, no server-side software required. "Free tools are a fantastic resource for companies on a limited budget and ManageEngine Tools are an excellent example. The more free tools a company provides, the more goodwill it develops with administrators in the trenches and when the need comes to purchase a product with more features, the company that provides is the first that comes to mind. Thanks for all you do for us and keep up the good work!" 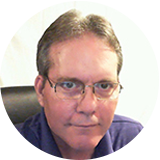 - Greg Bruntzel, Technical Consultant, TechHelp. Free IT tools to ping Servers & Websites, SNMP monitoring, process & traffic monitoring and system log forwarding. Perform Get/Set operations, receive and view traps, query SNMP variables for response and more. Monitor the servers & network devices internally and websites externally using ICMP Ping protocol. Traceroute the path of network packet from your computer to a destination address. Manage alerts from a single console. Collate alerts across mutli-vendor IT management solutions and perform root cause analysis. Get to know your WiFi network's link speed, signal strength, channel & security status. Turn on/off your WiFi, open the WiFi Settings and, find the network name, IP and MAC Address from your home/lock screen. Analyze your WiFi networks and identify the reasons behind spotty WiFi connectivity. Isolate and resolve the issues with your WiFi network using the diagnostic Android app, ManageEngine WiFi Monitor Plus. Forward the syslog messages from devices to max. of 10 syslog servers. Configure the network traffic thresholds with color coded alerts, terminate unwanted processes from the GUI and more. Ping, traceroute, scan IPs, scan ports, and check DNS Lookup and more from your mobile. Ping, traceroute, scan open ports, check DNS Lookup, SSL monitoring and more from your iPhone. Free web based tools set to check availability, analyze DNS records, test web load and response times from multiple locations, and more. Find which process/application utilizes more resources in a local/remote system and kill the unwanted applications. Monitor the SNMP enabled devices on the move from your Android phones. Support for MD5 & SHA authentication algorithms and more. Free Tools for virtual machine configuration & monitoring - Vmware, Hyper-V, XenServer and cloud monitoring for EC2 and Azure instances. Monitor the resource utilization of VMware ESX, ESXi servers in real-time. Configure the system resources & plan resource allocation of VMware Servers in real-time. Monitor critical system resources like CPU & Memory Utilization, Disk Read/Write and network Rx / Tx traffic of Microsoft Hyper-V servers in real-time. Configure the system resources & plan resource allocation of Microsoft Hyper-V servers in real-time. Free virtualization monitoring software that monitors unlimited VMs, hosts, and data stores across VMware, Hyper-V and XenServer. Monitor the performance of Citrix XenServer in real-time, validate threshold for CPU & memory usage and more. Monitor the performance metrics of web/worker role instances, view real-time data in graphical reports and more. Monitor unlimited Amazon EC2 instances in real-time & historical data and more.